THIS IS A STORE FRONT IN SHOPPING CENTER. THIS STORE IS IN GREAT CONDITION AND SHOWS VERY WELL. 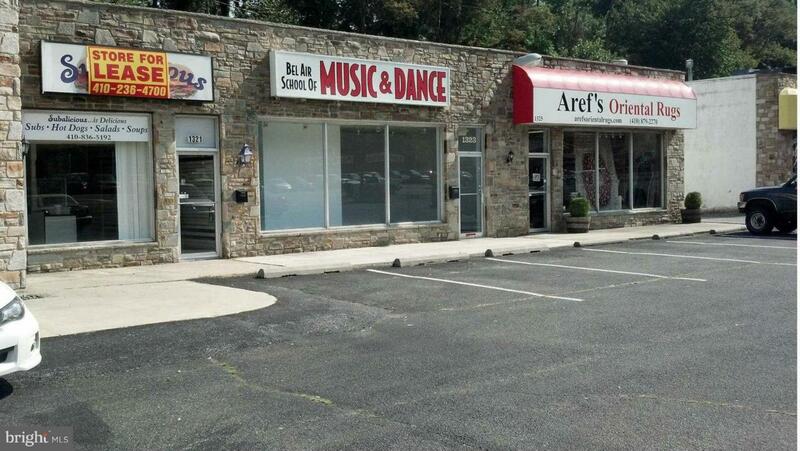 THE ADDRESS IS 1325 BALTIMORE PIKE. THE TRAFFIC IN FRONT OF THIS SHOPPING CENTER IS CONTINUOUS AND STORE IS HIGHLY VISABLE FROM THE ROAD. THIS STORE HAS A PRIVATE OFFICE AND STORAGE. THIS STORE IS LOCATED IN THE SAME SHOPPING CENTER AS AREF'S ORIENTAL RUGS.